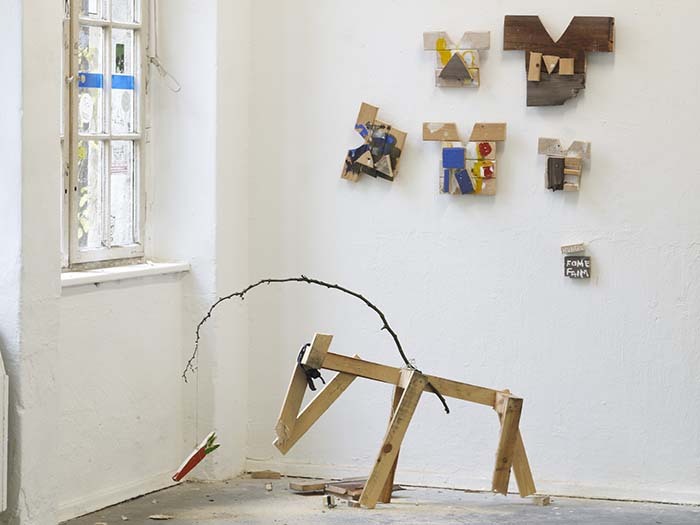 Our project space, neurotitan gallery, is at the center of the work of the non-profit organization Schwarzenberg e.V.. It was founded in 1995 with the aim of supporting interdisciplinary arts and culture. To this end we provide 300 square meters of bright gallery rooms, as well as the outdoor space of Haus Schwarzenberg. Since the very beginning, we have afforded artists the opportunity to present their artwork, free of editorial constrictions and commercial pressure, to an engaged viewing public. Neurotitan is the vital epicentre of an international artist network that spans avant-garde, subculture, and established art. For more than twenty years we have deliberately contributed to the cross-linking of artists from all over the world. This is because for us, connexion is not merely a by-product of our work, but just as importantly a crucial strategy to achieve our goals. Neurotitan's diverse gallery program ranges from street art, comics, illustration, and screen printing to fine arts, and it follows the simple guideline of enabling a maximum of expressive freedom with a minimum of box-ticking. We explicitly encourage artists to experiment and to practice with different artistic forms and means. We support artists with infrastructure and logistics, and help them give real-world shape to their projects. Neurotitan's low-threshold cycle consists of an average of thirteen art shows per year and numerous events and cooperations with the community of Haus Schwarzenberg, as well as with external partners. It seeks to engage art lovers of all ages, and the many tourists who discover us accidentally, many of whom by happy coincidence also fall into the former category. We plan the exhibitions one year in advance – but we also use the possibilities and layout of the entire house for spontaneous interventions, which we consider enriching and important. This can include the outdoor area as well as the gallery space for readings, workshops, lectures or discussions. With this infrastructure we can react quickly to unexpected fortuitous circumstance and integrate, for example, an impulsively conceived project by a visiting artist into our program. With this concept neurotitan pushes a lively and constantly renewing art scene. At the same time, Haus Schwarzenberg with its neurotitan gallery (as one of the few last places like this in Berlin-Mitte) conveys a flavour of the untamed creativity of the early 1990s, but without becoming a museum piece. Neurotitan shop is located next to the gallery. 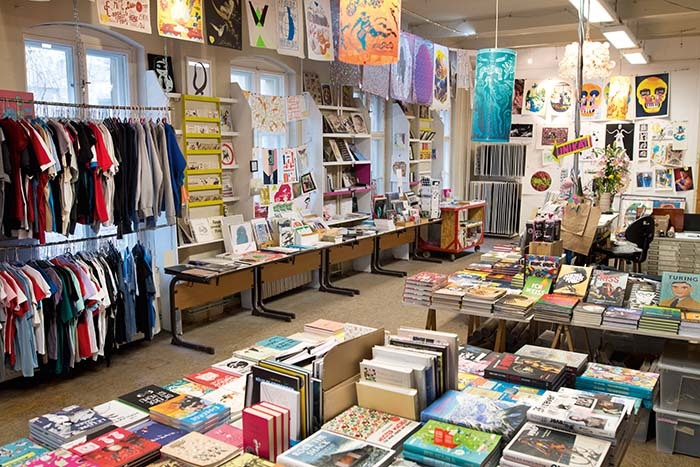 On the one hand it´s a specialist bookshop for graphic design, comic and illustration, on the other hand it´s the commercial arm of the gallery. Artists from all over the world deliver their artworks, goods and products and therefore provide the inimitable selection of originals, uniques, small editions, zines, self-made comics, graphic novels, screen prints, bags and t-shirts. Neurotitan shop is the contact point for any questions about Haus Schwarzenberg. Here, artists and art lovers can get all the information about the street art pieces in the yard, the other institutions in the building and the exhibition options.